(by Ralph Peters, New York Post) – The biggest loser from last week’s cruise-missile strikes on a Syrian air base wasn’t “President” Bashar al-Assad. It was Vladimir Putin. The Syrian leader was punished, but Russia’s new czar was humiliated. Even with an hour’s warning of the attacks, Putin’s military in Syria did nothing to defend its ally. For all of the Russian bluster in recent years, Putin couldn’t stop our strikes. His military lacked the means to do so. And any attempt to interfere with our operation would only have revealed the inferior quality of Russian armaments — including their much-ballyhooed air-defense systems. This is vitally important, because Putin used his military leap into Syria to show that Russia was a reliable ally at a time when US policy was timid, incompetent and flighty under President Barack Obama. Russia looked strong. We didn’t. But the wave of cruise missiles unleashed on Syria early Friday morning called Putin’s bluff. And Russia didn’t dare to lift a finger. Much has been written and spoken about our attack’s potential effect on North Korean calculations. Whether or not the strikes affect Kim Jong-un’s behavior, the strategic math has been altered. But what really changed was Iranian perceptions. The cruel old men in Tehran have been counting on their alliance with Russia to help ward off US or Israeli blows. Suddenly, Moscow doesn’t look so dependable. It gets better. Faced with recent defense-budget cuts — thanks to our sanctions and low oil prices — Russia’s defense industry is desperate to sell late-model weapons abroad. It’s the only way for Russia’s death merchants to stay alive and the only way Putin can continue his military renewal, which is essential to his strategy of strategic blackmail. Suddenly, Russian weaponry, which has never had a great reputation, doesn’t look much like a bargain. If Russia’s “cutting edge” S-400 system merely stayed idle and Russian aircraft stayed on the ground while we hit Assad’s air base with impunity, global observers will conclude either that Putin was scared or that his military was incapable. Or both. The truth is that Putin, who terrified Obama and whose minions (including bought-off Americans) shaped the chronic state of alarm in Washington to Moscow’s advantage, has always been a braggart and a bully. All it took to back him down was resolute behavior by President Trump. The Russian post-attack response was telling. All but one of the 59 cruise missiles we launched hit their targets. Moscow’s generals immediately insisted that half of our missiles had gone astray. Why? Because Russia’s own cruise-missile attack in Syria last year was a mess, with over half of their weapons failing. Note that Russia’s first response was a frantic attempt to defend the quality of its weapons, not to defend Assad. Complicating matters for the mangy bear, Putin has begun to regret his Syrian entanglement. The Syrian opposition proved more tenacious than his advisers predicted and his military couldn’t afford to continue to use expensive guided munitions, so his air force had to resort to dumb bombs and the consequent atrocities. Russian casualties have been notably higher that the Kremlin admits. And there is no end in sight, even as Assad proves an ever-more-difficult ally. And no, Russia has not been fighting ISIS. Putin has been waging war on the Syrian people, while letting our superior targeting and more-advanced weapons take on the terrorists — we’ve been his tools and patsies on that count. Russia’s pathetic response also included dispatching a rust-bucket destroyer to the eastern Mediterranean and his defense ministry announced that it will deploy more air-defense weapons to Syria. But the damage to his reputation is done. Of course, we can’t rule out a staged confrontation with our pilots in Syrian airspace. Putin needs to recover the enormous amount of face he lost — but he’ll seek to do so as cheaply as possible. He can’t afford another embarrassment. And he’s not facing Obama anymore. Putin wasn’t the target when our president ordered our cruise-missile attack. The operation was a one-time blow delivered to teach Assad we’ll no longer tolerate his use of chemical weapons. But Putin was the not-so-innocent bystander caught in the blast, and that may prove to be even more important than our strike’s core purpose. 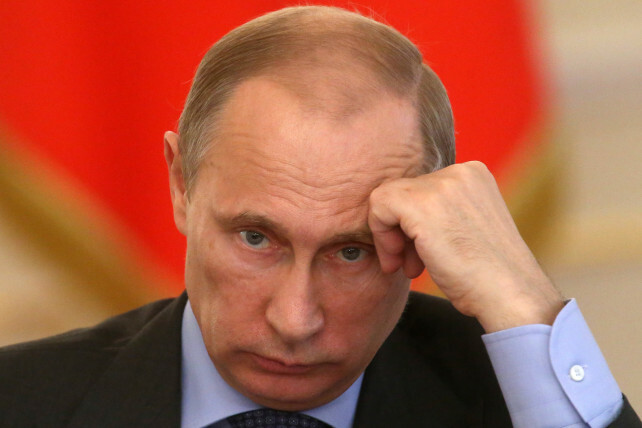 All it took to disarm Putin was to call his bluff. Trump deserves applause for this one. Ralph Peters is a retired United States Army Lieutenant Colonel, commentator and novelist. Published April 9, 2017 at The New York Post. Reprinted here on April 10 for educational purposes only. 1. The purpose of an editorial/commentary is to explain, persuade, warn, criticize, entertain, praise or answer. What do you think is the purpose of Mr. Peters’ editorial? Explain your answer.